The College for Higher Tibetan Studies is a branch college under the Institute of Buddhist Dialectics at Dharamshala, located in the Saraha Area. The college is cradled in lush green mountains and dotted generously with tall pines. Under the guidance and with seed money from His Holiness the Dalai Lama, the late Ven. 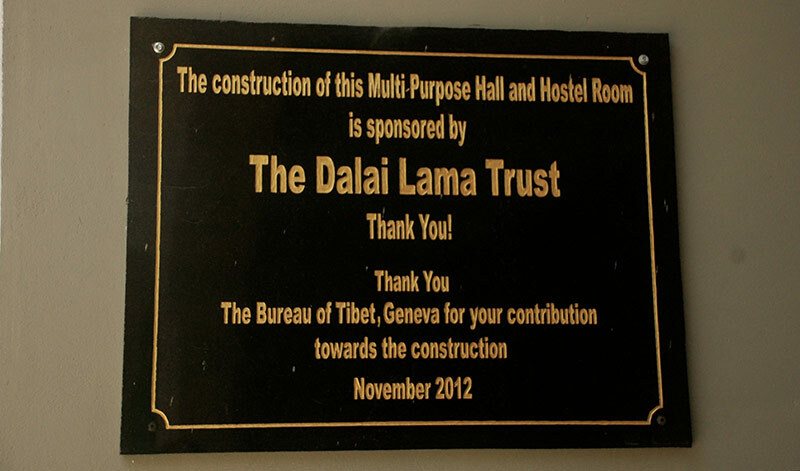 Lobsang Gyatso la selflessly assumed the task of establishing this institution in 1991. Upon completion, His Holiness formally inaugurated the college on the 13th of August, 1998. One year prior, the first batch of candidates were selected for the Bachelor in Tibetan Studies Program (Thorim Rigney Rabjampa). In keeping with the needs of the Tibetan community, primary and secondary teachers’ training courses were also provided to the group. Luckily in the year 2001, Education minister Mrs. Rinchen Khando la conferred them the degree of ‘Bachelor of Tibetan Studies’ program as well as their Secondary Teachers Training course. During the function, she announced the new name of the institution: – ‘The College for Higher Tibetan Studies’ and approved it on behalf of the Department of Education, and recognized it as a standard college for imparting Tibetan studies. College fees and living costs have been funded by many different sources, however because of the global economic crisis it has been difficult for the school to garner sponsors lately. For this reason, the College of Higher Tibetan Studies requested financial assistance from the Dalai Lama Trust for scholarships. This relationship began two years ago and has been a prosperous partnership, providing quality education to more students every year. The association with the Trust started with scholarships for 10 students in the BA programme and 10 students in Buddhist Philosophy programme and is valid for 3-4 years, depending on the course. The scholarship provides the school fees, cost of room, food, and a small amount of pocket money. Pasang-la, secretary of the college explains that His Holiness often mentions that language is important above all other endeavours. A culture’s identity is deeply rooted in language. Cultural traditions like dance, song, art and even philosophy are all rooted in language without which the rest of the Tibetan culture would be extinguished. Especially in the case of young people, it is imperative that they do not lose sight of their language. The Dalai Lama Trust is also engaged with the Emory Tibet Science Initiative – Six monks were enrolled in Emory University and spent three years there studying various scientific subjects. This is one part of the larger plan to introduce science in the monasteries. All the living and travel expenses were provided by the Trust. Six more monks will be leaving this year for the same programme. They are now contributing to shaping the science curriculum for monks in monasteries all over India. These monks are elected, based on their performance in the science programmes. 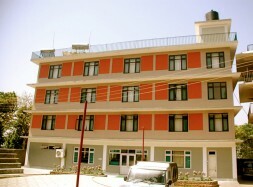 The Trust funded the construction of a building for international students- 12 rooms with attached bathrooms and kitchenettes. Roughly ten years ago the trust also funded the construction of another building with 25 rooms that is used for International summer programmes. There is a plan for the future to move the existing library closer to the classrooms. With a new library building, the old library space will be vacant and the college plans to create rooms for monks in the Philosophy course there. This will allow more space to enroll roughly 30 new students. Another programme funded by the Dalai Lama Trust is a summer course for 45 Tibetan students studying in various Indian universities. Language, history and philosophy are the subjects taught. As the students study in Indian universities, they tend to forget their language and are unable to interact with other Tibetans, therefore this course serves to refresh their language skills and keep their enthusiasm for their culture alive.